So, outside of making it to the northernmost point in Virginia, Saturday’s impromptu road trip led us to various sites in the Eastern West Virginia panhandle (the only part of the state I’m privy too – having previously visited Harper’s Ferry and Charles Town). This route took us up to Hagerstown, MD before dropping down into West Virginia. Our first stop was Martinsburg – the de facto “capital” of the panhandle – coming in at 17,000+, by far the largest in this region of the state. We made a pit stop at the rather quiet Martinsburg Mall (which reminded me a lot of the Millboro Mall during a rest stop I made in Kentucky earlier in September on my Tennessee trip). 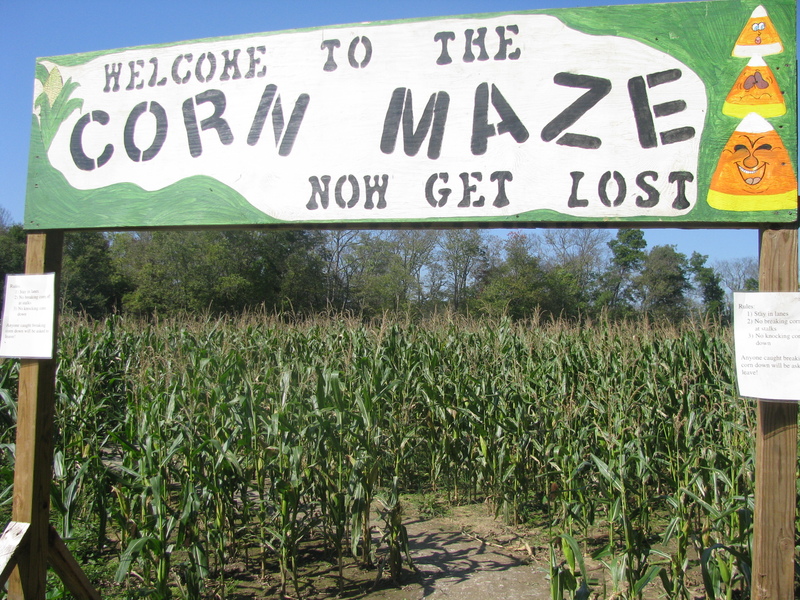 Our first destination – Inwood, WV – home of Old McDonald’s Pumpkin Patch and Corn Maze. To prepare we found an McDonald’s in town and grabbed a bit before heading off to pick some pumpkins. The Farm was bustling with the birthday crowd – tired parents and their tireless children running around hay bales and PVC pipes. For $5 a pop we joined the fray and headed for the maze first. The maze turned out to be far easier than we thought. We practically ran through the course in 10 minutes. It was so easy we weren’t sure we actually found the real finish and went back in to look for alternate paths. This was obviously made with young kids in mind. 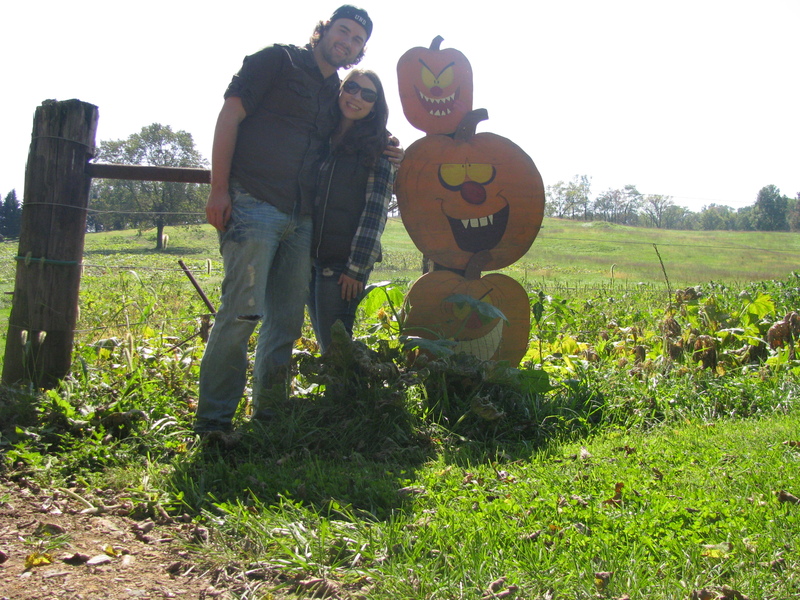 The pumpkin picking turned out to be the real highlight of this stop. 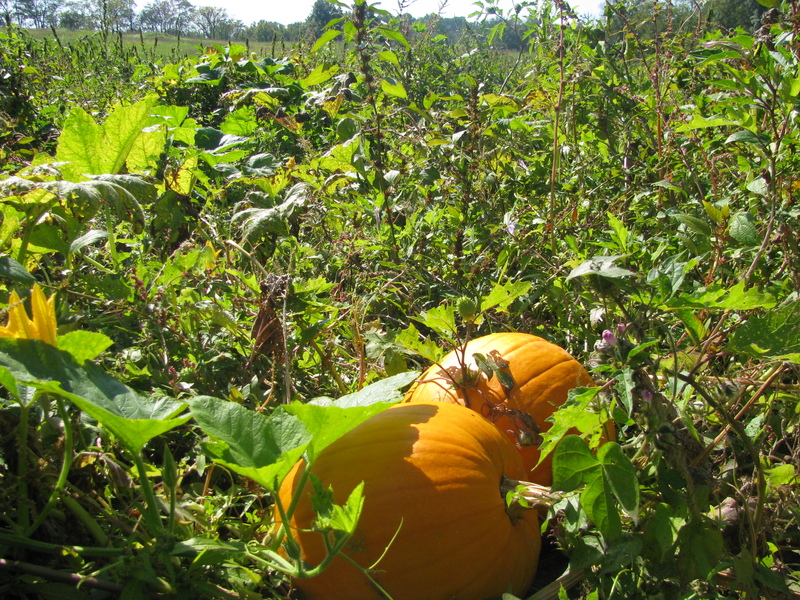 The first pumpkin we saw ended up being our top choice, followed by a couple nice small ones. 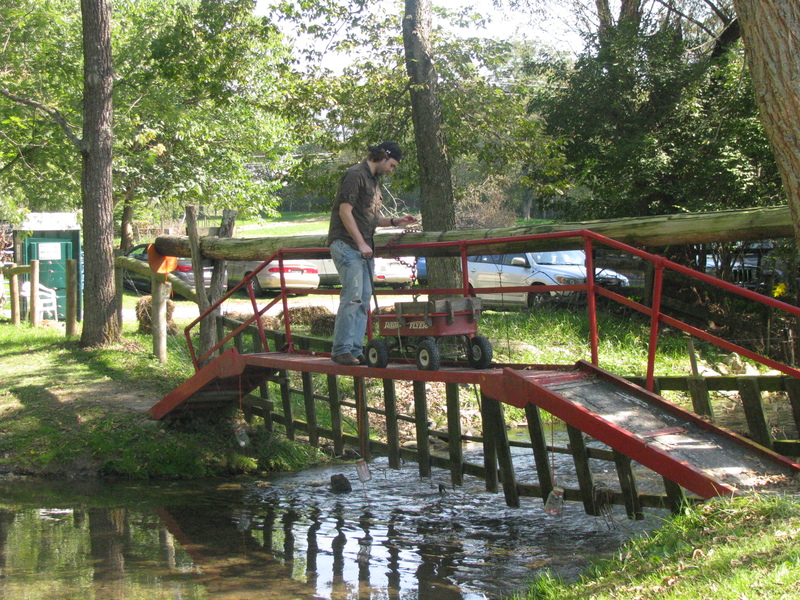 I had a perilous journey crossing a bridge (see photo) but I managed. We picked up a white pre-picked pumpkin back at the farm and headed back on our way. If you read yesterday’s blog, you already know about our adventure to the next stop – the northernmost point of Virginia. We took some beautiful back roads that winded through the West Virginia and Virginia country side to get to Cacapon State Park (driving past an interesting little fish hatchery in Ridge, WV). 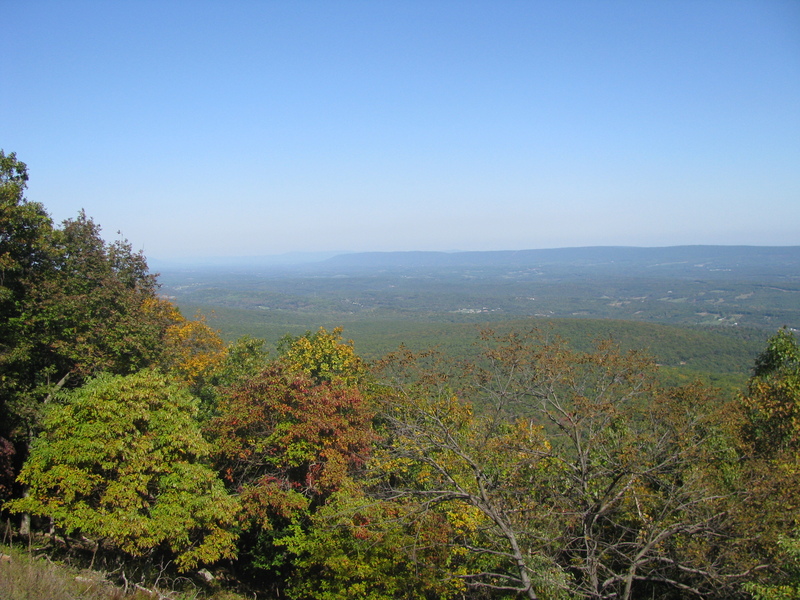 The view from the mountain in Cacapon was a treat as it’s one of the few places in the U.S. where one can see four states from one spot (in this instance, both Virginia’s, Maryland and Pennsylvania). The fall colors here are showing better than around D.C. metro, but this particular road up the mountain will close starting Nov. 1 through March. 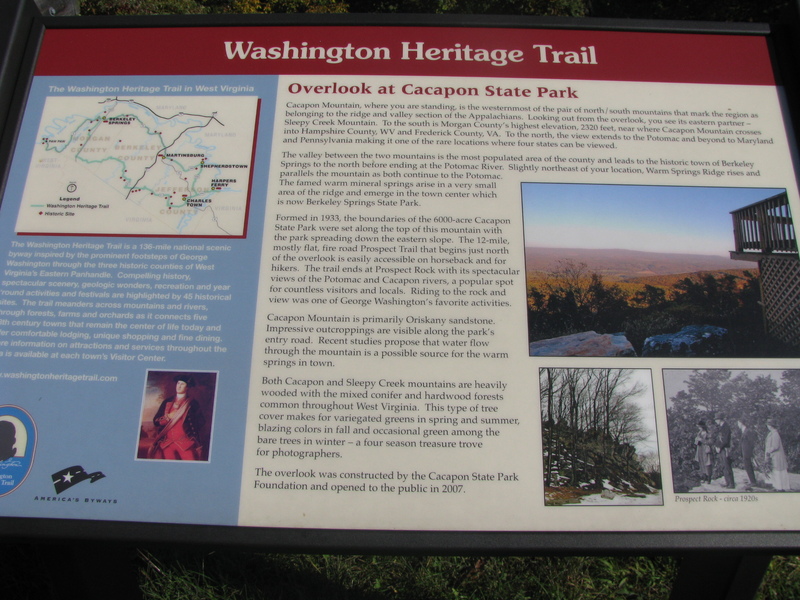 We crawled back down the hill and out of Cacapon. 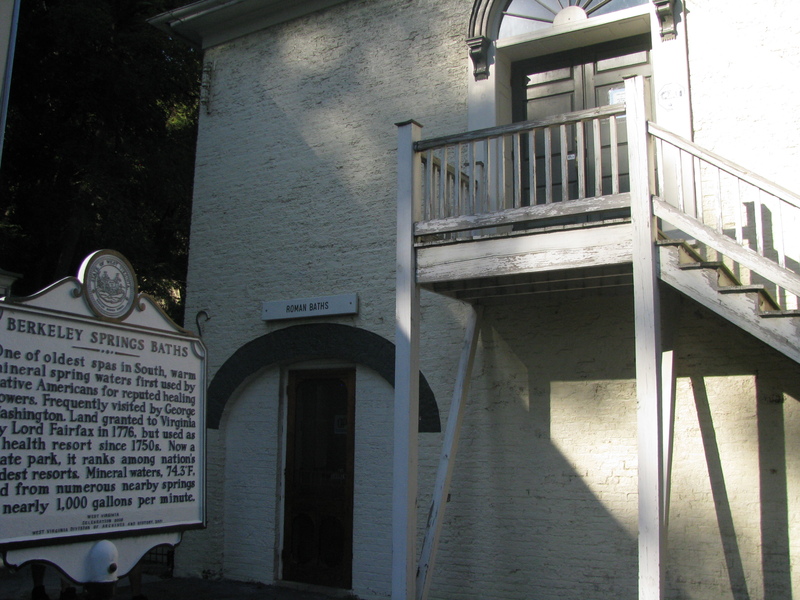 With plenty of time to spare we decided to hit up the historic town of Bath (known mostly as Berkeley Springs, WV). 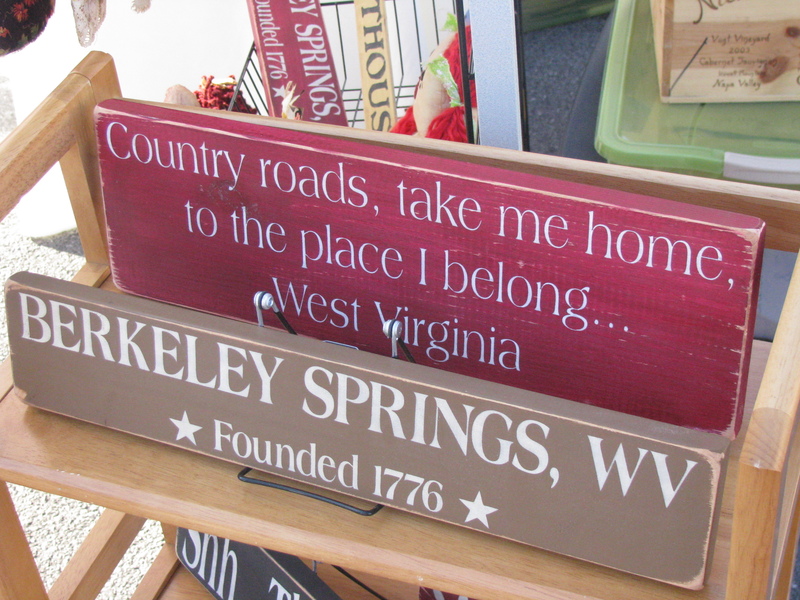 The closest I had previously come to Berkeley Springs was when I crossed from Pennsylvania into Maryland (around Hancock) and into West Virginia over the Potomac just for the fun of it (and amusement of the passengers) – essentially driving through three states in a matter of a couple minutes. I doubled back before reaching town, though and had always wanted to venture back. 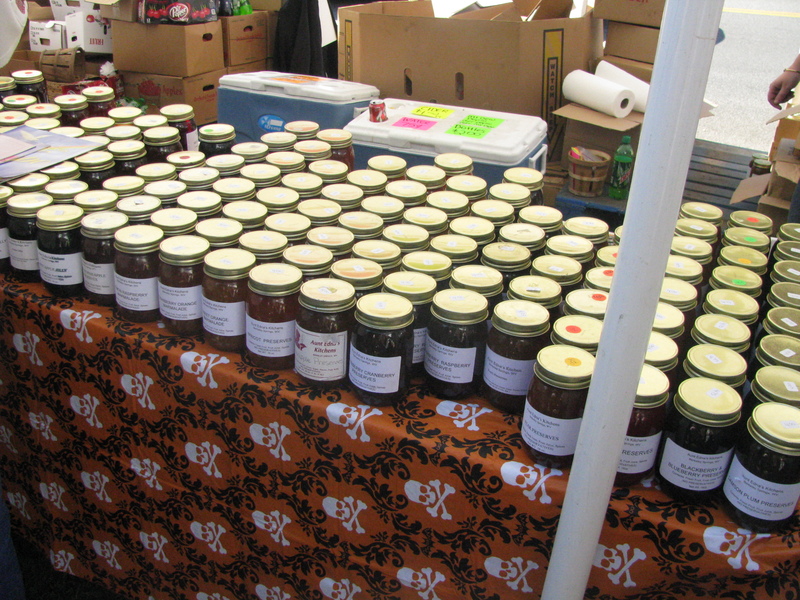 Today Berkeley Springs was in full bloom for its annual Apple Butter Festival. The main drag was lined with town folk selling crafts, food and other various wares (think massive yard sale). Parking was at a premium (homeowners charging $5-10 to park on their property). Lucky for us we managed to find a spot up the street a ways, at the terminus of all the action. First off – if you ever see a pumpkin roll at a bake sale – buy it. This diet-killer is to die for – it’s an unbelievable blend of soft pumpkin bread and cream cheese frosting. We grabbed the last one at one particular tent (and still have half of it left to savor later). 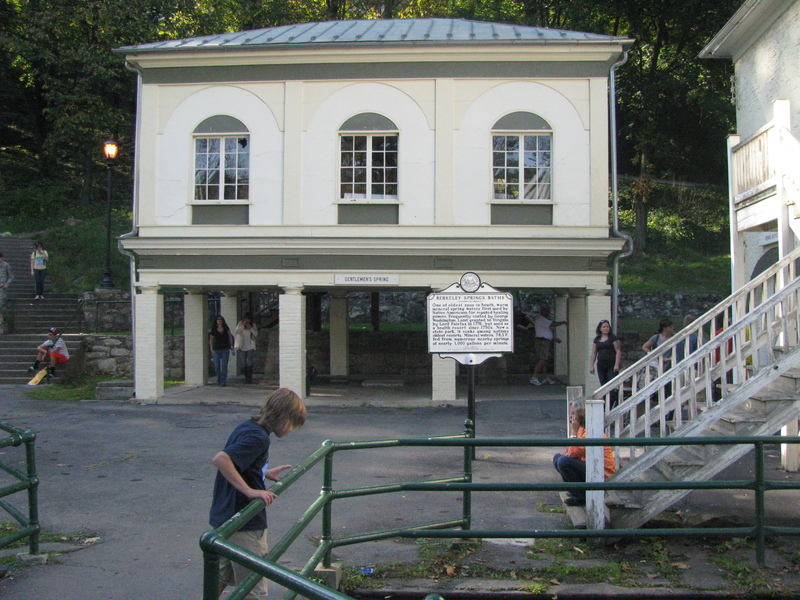 Our second state park of the day – and perhaps West Virginia’s most famous state park is the 4.5 acre Berkeley Springs State Park – is situated right in the center of town (and at 4.5 acres, it’s the third smallest state park in the state!!). 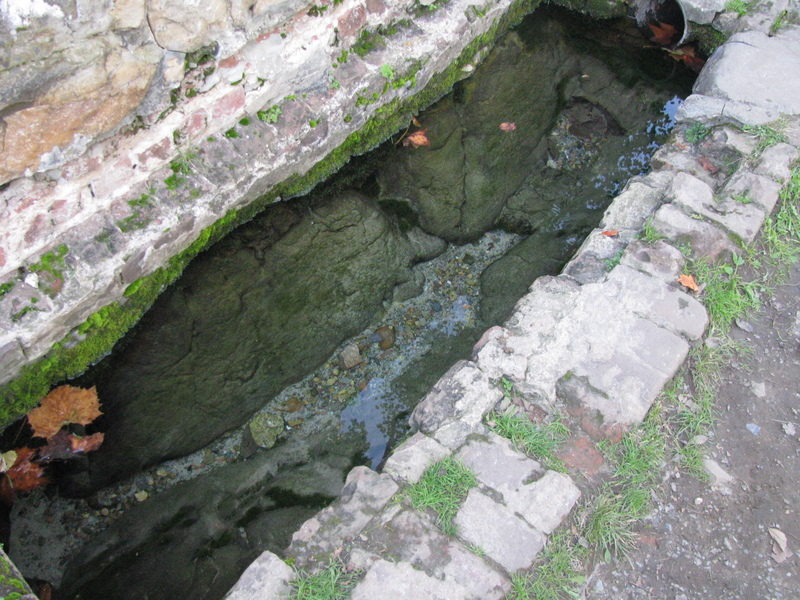 The establishment harnesses the medicinal properties of the warm, mineral water flowing through the town and is considered the first ever spa in the United States (going back to the mid-18th century). 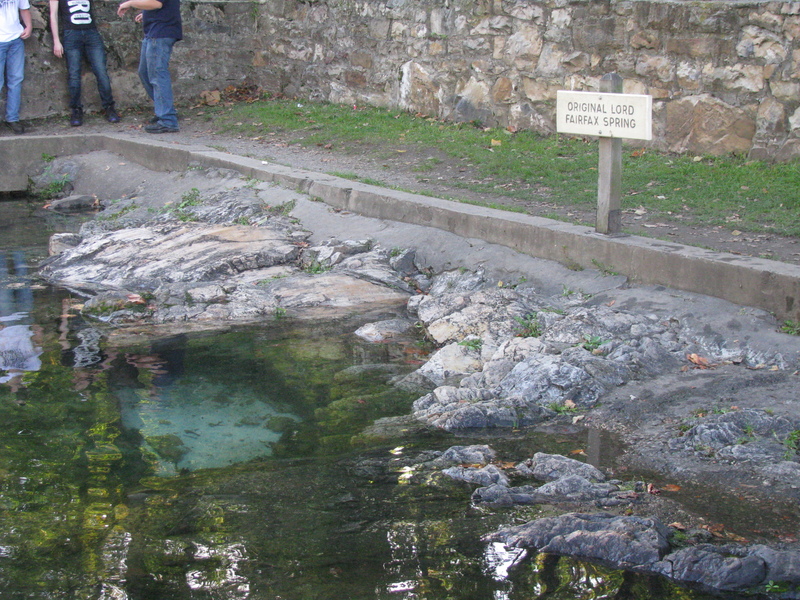 The pools bore a remarkable resemblance to some you might find at Yellowstone National Park, though, unlike that historic sanctuary, kids were wading in these ones. I wasn’t about to join in, as these “public” pools seemed rather dirty. Mason the Turtle wants out of his box! The highlight would have to be George Washington’s bathtub. 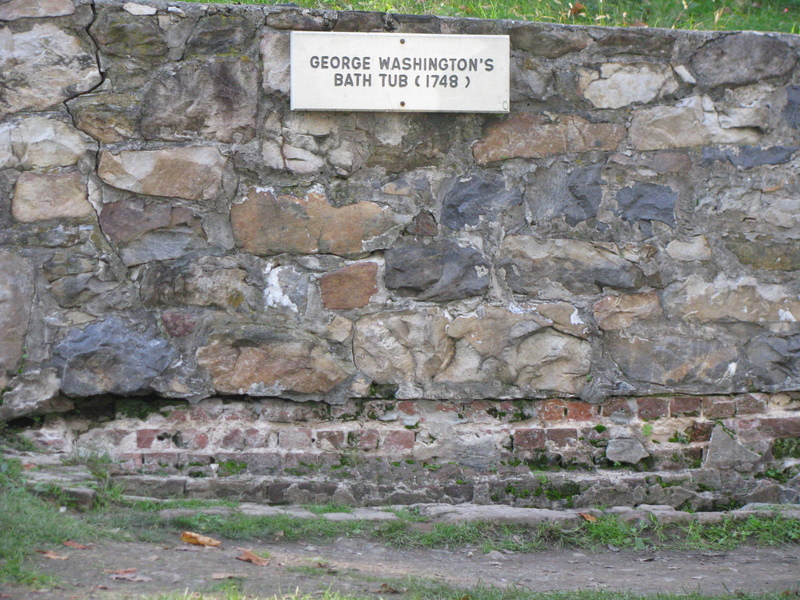 Apparently Washington himself enjoyed the Springs sometime in 1748 and his bathing history is there for all to see (or for kids to poke around in claiming “look! I see a fish!”). The Apple Butter Festival was full of country charm with a tinge of southern comfort thrown in (despite not really being anywhere near the deep south). 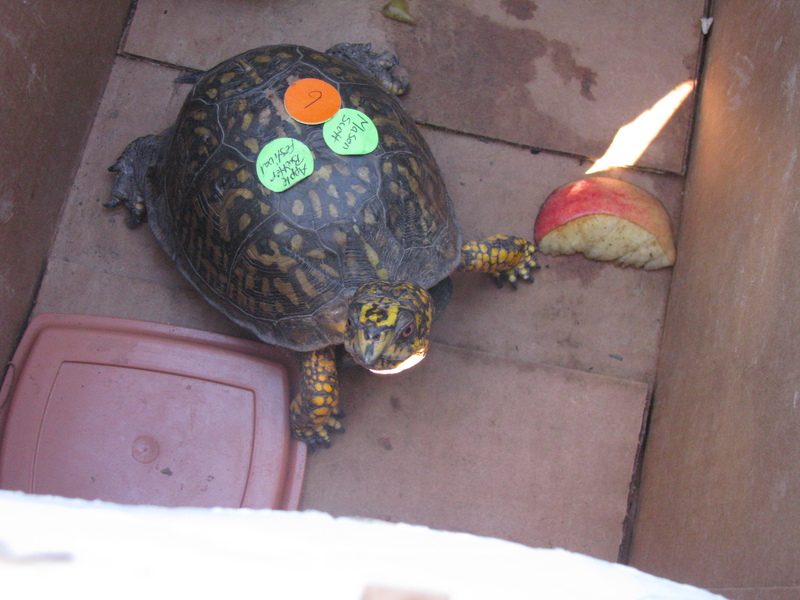 We even chatted up a kid who was carrying around a box with a pet turtle that he found a few days ago and entered into a race earlier that day. Turtle racing is a sport I’ve yet to see (right up there with competitive eating I guess). The tortoise finished second place if you care to know. Our day ended with a drive back through Virginia and into Leesburg – for dinner at Fire Works Pizza – and absolutely rockin’ establishment for wood fired pizza. 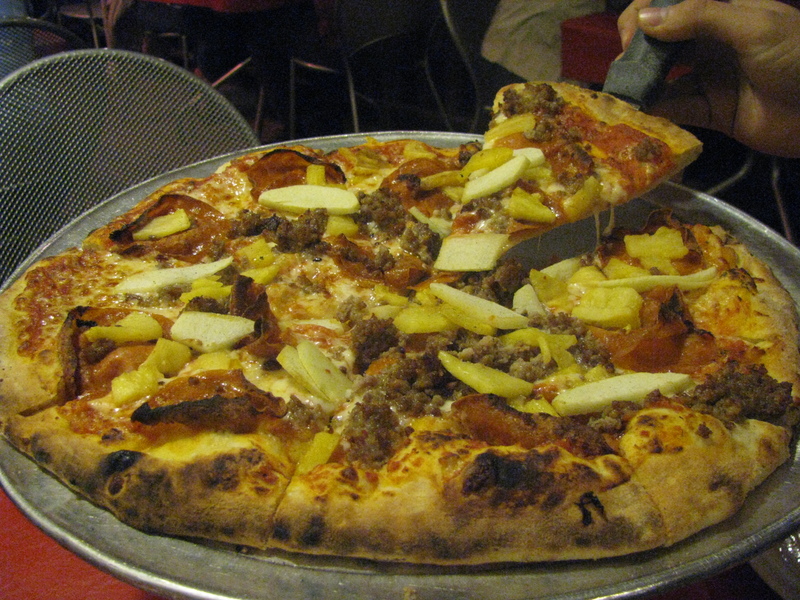 Order the pizza with homegrown pepperoni and sausage and feel free to add in pineapples or even apples if you want (we did). It was the perfect way to end another solid weekend day trip! 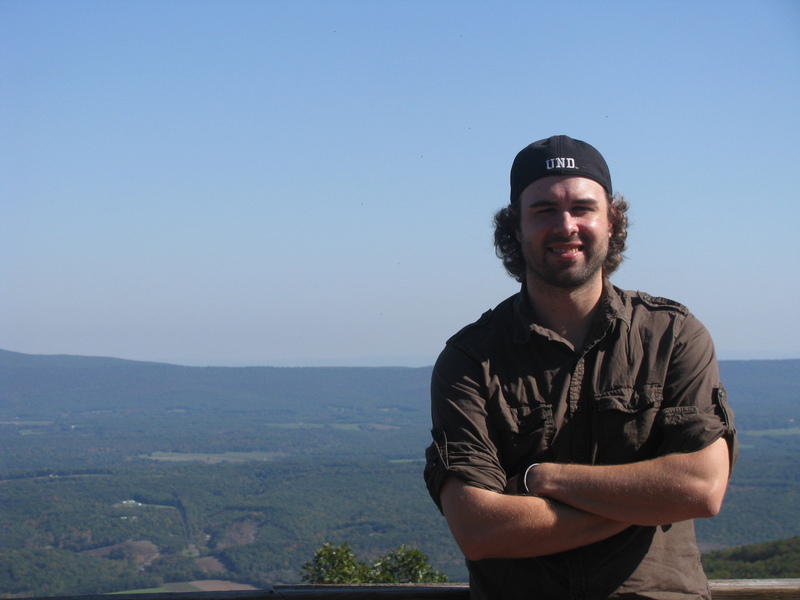 Oh, and in case your wondering…yes, I’m hoping to maybe visit the easternmost point of Virginia soon-ish. Unfortunately for me, Virginia really only has three “extreme points” as Southern Virginia is essentially all of the straight southern border (though, technically the southernmost parallel is supposedly around Danville, VA – a town I have not visited). The easternmost area is the north edge of Chincoteague Island and is supposedly private property – so I don’t know how possible this is. It’s funny I was at that exact same mall last weekend during my WV jaunt; I had to make a quick stop at the Radio Shack. I remarked to my wife that I thought it was the “mall of the damned.” It was eerie. Oh, and I’m guessing you probably know that Fire Works Pizza has opened a second location now? — in the Courthouse area of Arlington. I’m beginning to count small-town malls as sort of unofficial, oddball landmarks in my travels – I’m definitely chalking up Martinsburg Mall on that list. Initially I thought the food court could have some good lunch options – but picking from Subway and a lonely looking Chinese joint (not to mention the cavernous quality of the mall itself) led us to McDonalds. And yes, we’ll have to try the Fire Works in Arlington – seeing as it’s a little closer than Leesburg to our home base.